The story of the impossible love between a schoolgirl and a sixty-year-old painter. The classic Arthurian tale of tragic love. In medieval times, Lord of Cornwall decides to marry an Irish princess Isolde. However, his most loyal knight Tristan becomes bewitched by her beauty and they fall hopelessly in love. A documentary on the Six Day War of 1967, focusing on the physical remains afterwards, the refugees, the Jews who were able to return to the Western Wall, plus faculty and students of Chaim Weizman University. A man resettles his American family to New Zealand where he gets a new job at a prison in the city Wellington. His daughter has an affair with one of his prisoners he is to look out for. Sarah Norton: Have you thought about going to bed with me? Sarah Norton: [walks over to the bed] Let's. Ashley St. Clair: Obviously, no. Ashley St. Clair: You are. This is a wonderful and tender story about a young woman coming of age and within that, finding a deeper love within her soul with a man who just happens to be older. The beauty of this tale is there was never a physical relationship between the two but more importantly, this movie shows and demonstrates if this were a perfect work, how pure and blind love can and maybe should be. 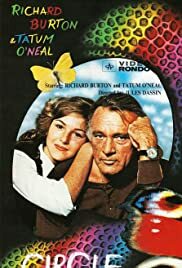 Tatum played this part perfectly as a young teenage girl falling in love with a man, Richard Burton who showed and gave her respect, love, honesty and trust. Richard plays an out of work painter who was on his last leg when this bright light came into his world. This light shined so loudly it overwhelmed him and in doing so, sparked new life into his tired and somewhat forgotten soul. He begins to paint again and thus he is reborn. I personally enjoyed and love what this movie stands for. If you have ever loved and lost and yet never ever forgotten the truth that was there when you felt such powerful and sincere emotions, then this movie is indeed for you. This movie belongs right along with such classics as Roman Holiday, A portrait of Jenny and any movie where color and age are timeless.